The LRTA added the 20 to its network of routes without much fanfare. It has a very slapped-together feel in that there’s no schedule. We just get the vague guideline of “service every 20 minutes” from 7:00 AM to 10:40 AM, weekdays only. What strange times! What could this possibly be? 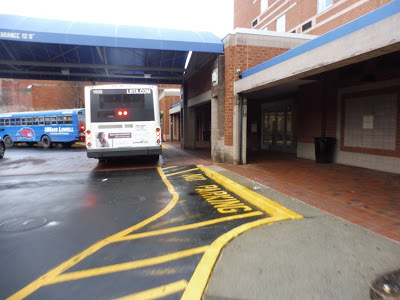 The bus coming up to the UMass Lowell Inn and Conference Center. Another oddity of the 20 is that it’s the only LRTA route that doesn’t serve the Kennedy Center. Thus, Nathan and I walked to the route’s starting point, the Inn and Conference Center, and used the LRTA tracked to try to make some sense of this thing’s schedule. We couldn’t – the two buses on the route seemingly left whenever they wanted. We got to the bus and the driver was starting a burrito. We both paid a dollar for the ride, but it turns out that UMass students get on for free! This was found out when someone showed his ID and headed onto the bus – “GET BACK HERE, YOU HAVE TO SWIPE IT!” the driver yelled. The student was flustered, needless to say! Coming out from the ICC. We took the hill out of the ICC and turned onto Warren Street. Next, we briefly turned onto Central Street to get over a canal before going onto Market Street. 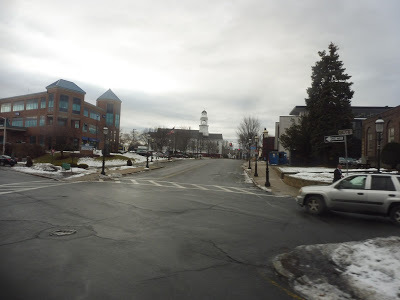 This wasn’t quite the main drag that parallel Merrimack Street is, but it still had a ton of dense brick buildings and a variety of businesses along it. Unfortunately, there was some traffic along here, and the driver didn’t seem to be a fan – she kept edging closer and scarily closer to the car in front of us. Perhaps her aggressive tendencies were spurred by the metal music she was blasting? 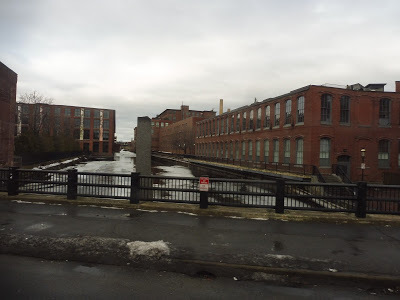 After going by the Lowell National Park Visitor’s Center, we went over another canal (and the Lowell Streetcar track) and entered an area that was less dense. We had to do a construction detour onto Merrimack Street, which had a mix of businesses and apartments. Soon after going over another canal, we used Cabot Street to get to Salem Street. We arrived at the University Crossing Transit Hub for UMass Lowell shuttle buses. We deviated into the busway, got no one, and headed out again. We turned onto Pawtucket Street for a block, then we headed down University Ave. This took us over the Merrimack River, and we went by UMass’s North Campus on the other side. 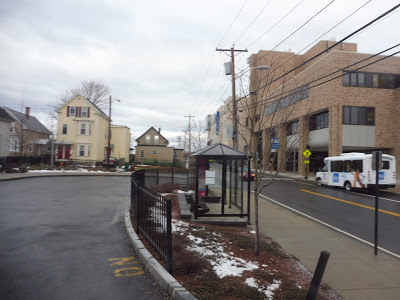 Next, we turned onto Riverside Street and arrived at the UMass North busway. Well, sorta – a car was in the way, and the driver didn’t feel like going in, so she just dropped us off outside the busway. Five seconds later, she pulled in anyway. Ridership: There’s no public data on the 20 yet, so we’ll go with the ridership I saw, and that’s four people. Not…bad? 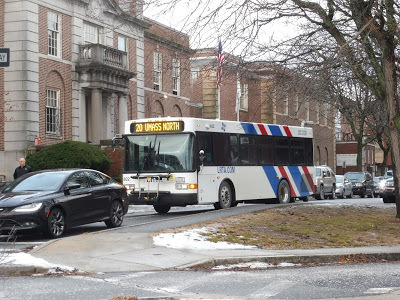 I will say that people opted to take this over the exactly identical UMass Lowell shuttle route, but we’ll get to why they might’ve done that in another post. Cons: There’s literally an identical shuttle run by UMass Lowell. 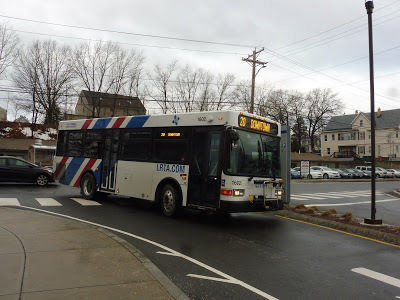 Why did LRTA take this route into its own hands? It didn’t need to! There’s already a route that does the exact same thing! Also, LRTA runs this at max inefficiency, since the route is just long enough that it needs two buses to run instead of one. That’s right, they’re wasting two buses for this route that, need I remind you, already exists. Not to mention that the two buses just leave whenever they want – this thing has no semblance of a schedule. Google Maps lists completely random times at each stop: 8:00, 8:15, 8:40, 9:05, 9:25…what??? I thought it was every 20 minutes! Nearby and Noteworthy: Downtown Lowell is the biggest thing along here, but this isn’t very useful to anyone not attending UMass. This should not be the LRTA’s responsibility. It makes zero sense why the LRTA is using two buses to run this literally entirely redundant service. 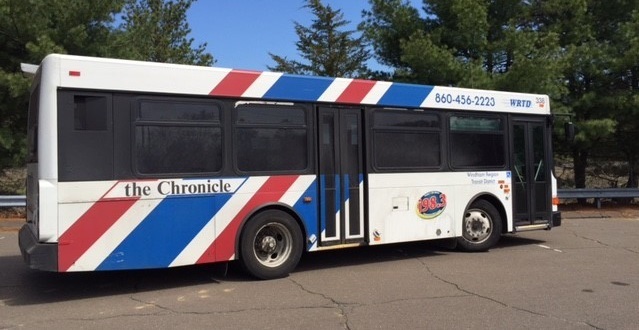 Oh, and it only runs from 7 AM to 11 AM, so after that, people have to use the UMass shuttle anyway! Maybe there’s a reason this exists, but I sure as heck can’t see it.